Independence. Millennials crave the freedom to keep track of themselves and work from wherever they are. CLO Magazine’s white paper says it best, “Today you can run a global business with just a laptop and an internet connection. More than wearing a suit and filling up a seat, millennials know success comes from putting in the effort to get outstanding results—no matter where they are, what they’re wearing, or what time they clocked in.” Giving your millennials the freedom they need to be successful is a key component in what they look for in an employer. Freedom to collaborate. 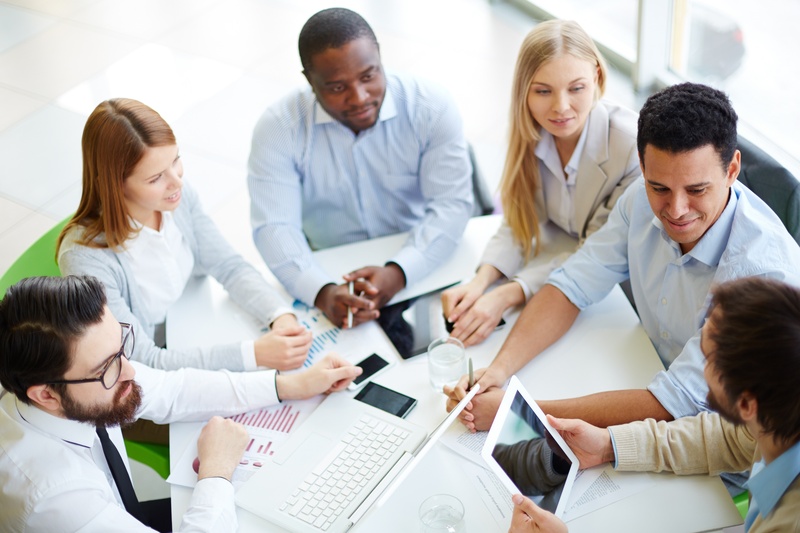 Collaboration is a way that many millennials prefer to brainstorm and ideate. Group activities and projects have always been a part of the millennial education, therefore giving them the freedom to work together is a beneficial way to concept the best ideas. Constant learning. Millennials crave information. They love to learn, and since they’re digital natives, everything they’ve ever wanted to know is at their fingers tips via their mobile devices. Learning and development is a huge draw for millennials because they know that knowledge is power in their jobs. The more they know and practice, the better and more successful they ultimately end up being. PURPOSE. The reason behind everything is more important than any other factor for a millennial. WHY are they doing this task- what is the outcome or benefit that will result? Millennials are efficient by nature, but without underlying purpose for their actions they lose interest and motivation quickly. Nothing will lose you a millennial faster than giving them lack of purpose in their jobs. New ways to work. Because millennials are inherent problem solvers, they love the ability to find new ways to get the job done. Thinking outside the box and discovering new avenues is something you can count on a millennial for. They are known for innovation and figuring things out in a different way than any other generation. Millennials are sensible but they dream big. They expect a lot out of their employers, but they likewise provide even more. If you keep a Millennial happy, you’ll keep them as your employee. Give them the freedom of autonomy, collaboration, and most of all, give them a purpose for everything they do. Sources: “Six Values Millennials Look For in an Employer” by Chief Learning Officer magazine, www.clomedia.com; Kathy Caprino, Forbes' Article "Quit Trying to Engage Millennials"; Ryan Jenkins, Next Generation Catalyst's Blogpost "22 Shocking Stats About Millennials to Help You Chart Tomorrow's Change"